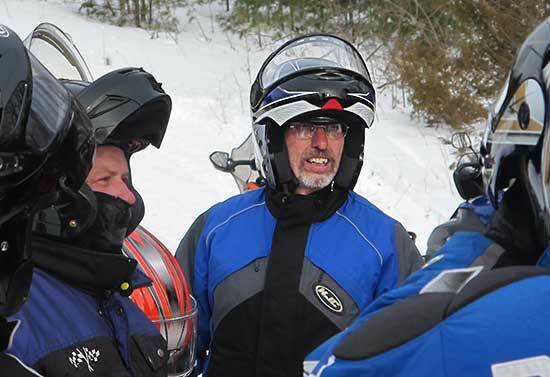 Snowmobile Association of Massachusetts member profile: Peter Blake is a member of the Northfield Snowmobile Club and has been riding snowmobiles for 40 years. His current snowmobile is a 2003 Arctic Cat Pantera 550. Club position: Currently serving as the club treasurer for the past five years, and SAM Delegate for nine years. I also served as president of my club for five years and before that as vice president for four years. Volunteer work: I’m out doing trail work every weekend, building bridges on the trails and in the community! I also groom the trails all winter long. Favorite riding area: Right here in Northfield. After a long night of grooming, it’s very satisfying to ride nice smooth trails. Sound Off: My pet peeve is when I spend all night grooming just to find some yahoo has ripped the trails to shreds before anyone could enjoy them. It’s frustrating when they spin their tracks and leave humps in the trail. I think everyone should slow down and enjoy the ride.